Vision: "People understand health information and services"
Mission: "To promote clear communication between those who give and those who receive health care services"
Desired Impact: "We believe clear communication between those who give and those who receive health care services helps people understand health concepts, make informed decisions, access the health care system and, ultimately, improve health outcomes"
As a national leader in the field of health literacy, Wisconsin Health Literacy (WHL) has spent much of the last decade raising awareness of this silent crisis in health care. 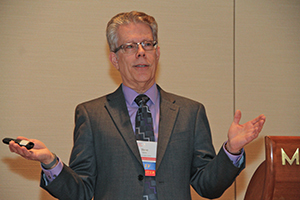 WHL hosts biennial health literacy summits, which have gained national exposure for their cutting edge knowledge sharing. WHL experts have made over 175 health literacy presentations and initiated numerous health literacy projects that are improving health outcomes. 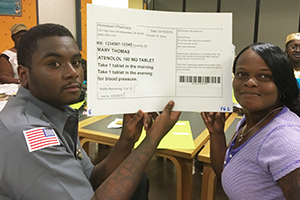 We have worked closely with both adult literacy providers and health care providers to equip them with information and resources to make the issue of health literacy a priority for clients and patients. The Institute of Medicine defines health literacy as "the degree to which individuals have the capacity to obtain, process and understand basic information and services needed to make appropriate decisions regarding their health." As such, an individual's health literacy skills directly correlate to overall health and well-being. The Calgary Charter provides an extended definition of health literacy. Health literacy is the use of a wide range of skills that improve the ablility of people to act on information in order to live healthier lives. These skills include reading, writing, listening, speaking, numeracy and critical analysis, as well as communication and interaction skills. Literacy skills are the strongest predictor of health status, more than age, income, employment status, education level or racial/ethnic group. (Partnership for Clear Health Communications). Health literacy can vary over time, depending on a person's health status, medications, or emotional state. We all experience low health literacy at some points in our lives. 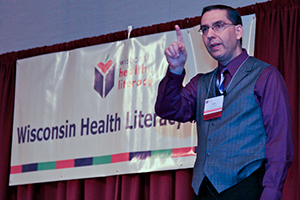 Please contact us or call (608) 257-1655 if you want to learn more or would like to become involved with health literacy initiatives in Wisconsin.